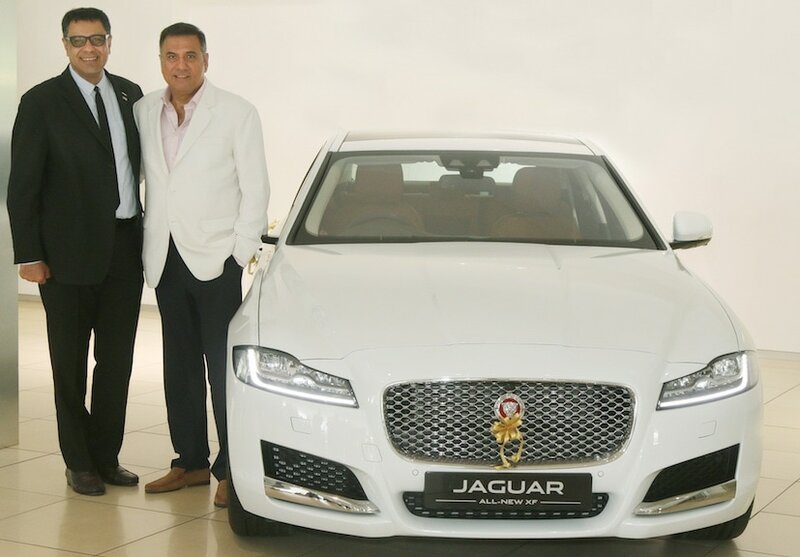 Bollywood actor Boman Irani recently took the delivery of his brand new Jaguar XF sedan. The car was handed over to him by Rohit Suri, Managing Director & President, Jaguar Land Rover India Ltd. The Jaguar XF purchased by the renowned Bollywood actor is the latest 2016 model which was launched in India late last year in September. While we are not sure which variant of the car has Boman exactly bought, but the base model of the Jaguar XF has been priced at ₹ 49.50 Lakh, the top-of-the-line variant is priced at ₹ 62.10 lakh (all ex-showroom, Delhi). Now, what's interesting here is that when it comes to celebrities, especially Bollywood actors, we have seen most of them go for German carmakers like BMW, Mercedes-Benz or Audi when buying premium and luxury cars. But times are changing now, and car manufacturers like Jaguar Land Rover and Volvo are getting equally competitive and instances like this or when actor Sakshi Tanwar bought the Swedish beauty Volvo S90, stand as a testament to the carmakers' growing presence in the Indian market. 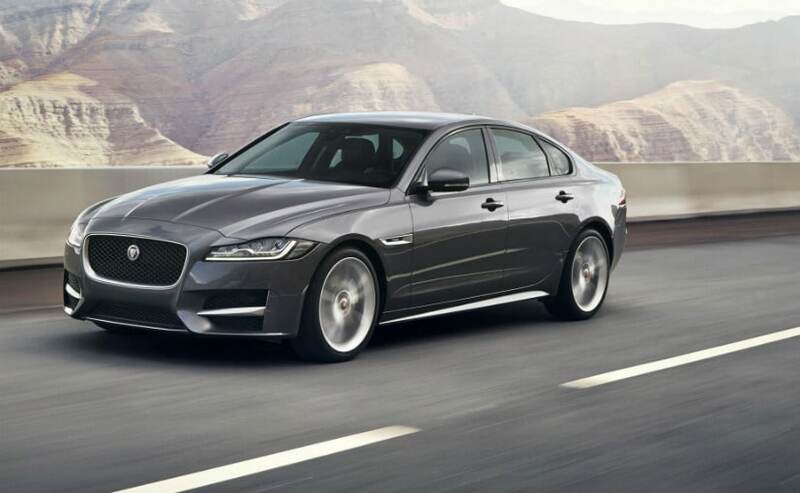 Coming to the car itself, the Jaguar XF rivals the likes of Mercedes-Benz E-Class, Audi A6 and BMW 5 Series and of course all-new Volvo S90. And to go up against such strong completion JLR has equipped the car with a new 2.0 litre diesel engine, from the company's Ingenium family, that makes 177 bhp and develops a peak torque of 430 Nm. The petrol trim, although, continues to use the same 2.0 litre 4-cylinder turbocharged motor that churns out 237 bhp and develops a peak torque of 340 Nm. Both the engines come mated to an 8-speed automatic gearbox as standard. The new Jaguar XF also employs a lightweight aluminium architecture that contributes towards a weight saving of up to 190 kg over the previous generation model. And as far as dimensions are concerned, the new-gen XF is 7 mm shorter and 3 mm lower than its predecessor but the wheelbase has increased by 51 mm, thanks to the new platform. There is also an increase in the legroom and the knee room by 15 mm and 24 mm respectively. On the features front, the Jaguar XF comes with new adaptive LED headlights featuring Jaguar's signature 'J' blade Daytime Running Lights along with taillamps that feature a distinctive, Jaguar F-TYPE inspired, double roundel and intersecting horizontal detail. The equipment list includes a 12.3-inch fully TFT instrument cluster, a laser HUD and a 10.2-inch touchscreen infotainment system, 10-colour ambient lighting, 4-zone climate control. It also gets a host of connectivity options and so on and so forth including a smartphone app which can be used to start the engine, switch on the AC amongst other things.